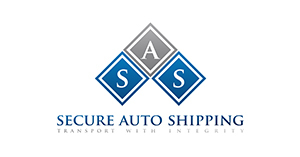 After you’ve hired an auto shipping company, it’s time to prepare your car for shipping. Here are some tips on preparing for auto shipping to help you get everything in place for a stress free experience. Plan in advance of the date you need your car shipped by. The more time you give the auto shipping company to make all the arrangements the better for you both. Last minute shipping is possible, but you may have to pay much more to the auto shipping company for rush service. Before you hand your car over to the auto shipping company, be sure to wash it thoroughly first. This lets you spot scratches and other damage easier, so you can make the auto shipping company aware of them. Receiving the car in similar condition to how it was shipped is one of the best indications that an auto shipping company took good care of your car in transit. Take photos of your vehicle from each angle before handing it over to the auto shipping company in case of damage after the car has been shipped. You’ll have picture evidence to back up your claims of damage you think the auto shipping company is responsible for. Remove all valuables from your car before handing it over to the auto shipping company. Most insurance policies cover the exterior of the car, not damage to the interior. It’s a good idea to remove any stereos and other optional equipment before the car is picked up by the auto shipping company.